Have you always wanted to experiment with vivacious prints and elegant patterns in your home but don’t know how to begin? We are in an amazing new age of production when it comes to textiles and wall coverings. Wallpapers are not just for your Grandma’s sitting room anymore and nor should they be. You can now achieve detailed ornamental patterns or gorgeous subtle textured patterns with high quality digital printed wallpapers. So whatever your design vibe is, whether a lush flocked damask, or a minimal Japanese pattern, these new methods of production can cater to all tastes. Take a look at our five tips below to get you on your way to styling print and pattern confidently. Fabrics needn’t just be for upholstery. Think outside the box to create a bespoke feature. You can create a gorgeous wall hanging from textured patterned linens – simply cut a rectangle of fabric and get it professionally framed. Think of a luxurious textile as a piece of art and the options are endless. 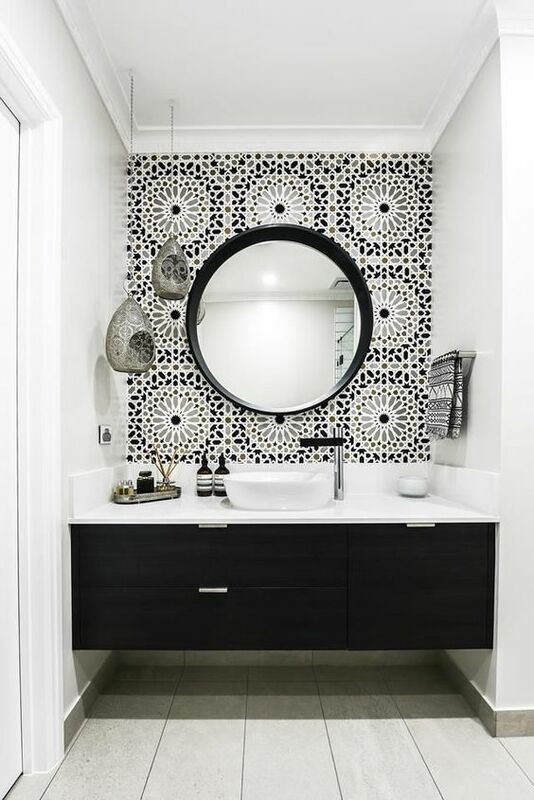 Select a bold pattern and support it with complementary elements. This could be a basic plain textured linen in a muted tone, used as a supportive element to a vibrant Moroccan pattern or Turkish rug. Avoid matching pieces, unless done in an ironic intentional fashion, it looks awkward, dowdy and old fashioned. If you’re going bold, choose one pattern to be the star of the show. Samples are your friend. Order the largest size sample possible or invest in a small quantity of fabric or wallpaper. If you don’t end up using it for a feature wall, I’m sure you can find a use for it later on. Place it in different areas of your home and see how it changes a room at different times of the day. Then, when you finally make your purchase, you will have peace of mind that it 100% works in your space. Pattern and print are amazing features when styled correctly, adding instant visual value. They may take a little more workshopping to get right, but when done well, you won’t regret it and you’ll only get better at it with more experience. Don’t fear big or busy patterns in small spaces, they can take you into another world. Are you ready to launch into the world of pattern? Contact us to see samples of our latest pattern and print swatches in a variety of styles to suit your individual style.